EMF » Ketamine alone versus propofol added to ketamine versus ketamine mixed in propofol for pediatric procedural sedation in emergency departments. Emergency Medicine Foundation > Projects > Queensland > Ketamine alone versus propofol added to ketamine versus ketamine mixed in propofol for pediatric procedural sedation in emergency departments. Ketamine alone versus propofol added to ketamine versus ketamine mixed in propofol for pediatric procedural sedation in emergency departments. Compare three methods of administration to determine whether children will wake-up faster and have fewer side effects, while at the same time having the procedure performed in a safe and effective manner. Children present to emergency departments (EDs) with injuries that require painful procedures such as straightening broken bones and suturing cuts. Medicines used for these procedures include midazolam (a sleeping medicine), nitrous oxide (laughing gas), and morphine (pain killer) as well as many others. Ketamine is one medicine that combines pain relief and sedation. Ketamine is very safe and has been used in millions of procedures around the world. Children when they wake up after ketamine may be agitated or feel like vomiting. Ketamine can raise blood pressure and some situations it should not be used. Ketamine is Australia’s preferred sedative for children in EDs. Perhaps we can improve on ketamine by using different dosing methods or mixing with other medicines. Propofol is another medicine used to deeply sedate children. In large amounts it will interfere with breathing and lower blood pressure, so it needs to be given in the right place and at the right time. Propofol’s main advantage is that it is much faster to work than ketamine and its effects wear off very fast. Interestingly when propofol is given with ketamine they may balance each other’s side effects; keeping blood pressure even, providing relaxation, reducing vomiting. 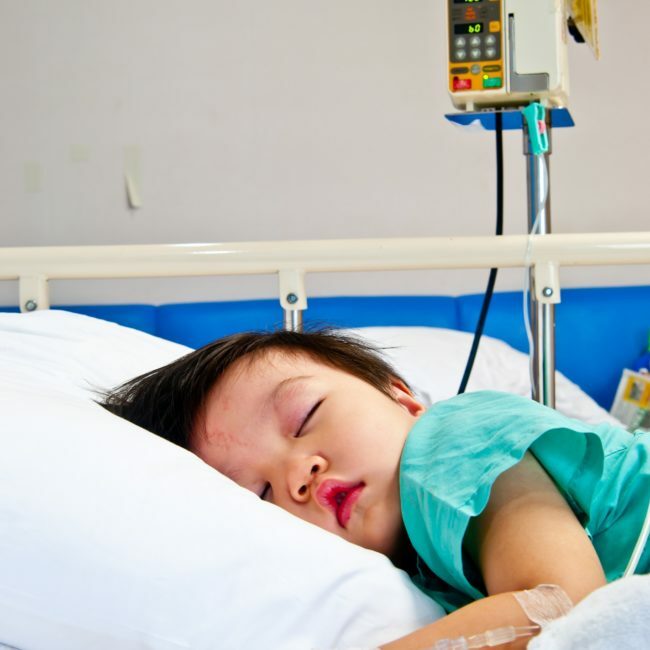 Since propofol recovery is faster than ketamine, children may wake up sooner. Emergency doctors have been mixing ketamine and propofol together and calling this combination “ketofol” and find it very effective in adults. Some give ketamine and then propofol, although how much is required is not clear. A number of emergency doctors prefer to give ketamine alone and treat side effects if they occur.